Experiencing back pain is annoying and hurt. It causes you discomfort during sleep, leading the restless sleep every night. And, you wake up feeling painful in your back. There are many causes for back pain. Being able to spot your main cause of back pain is the first step of finding the remedy for your back pain. One of all common causes is bad sleeping posture occurred by the poor alignment of your body, bed and pillow. 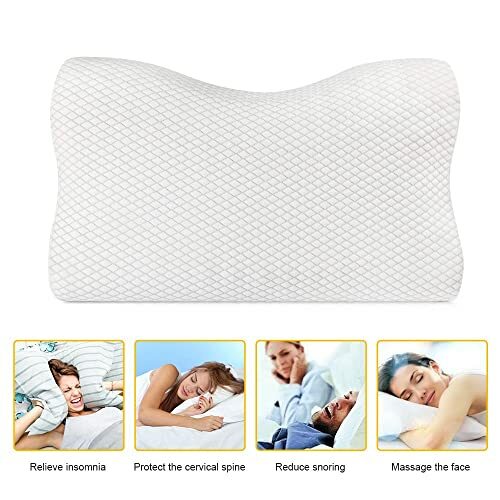 To minimize your chances of experiencing back pain caused by bad sleeping posture, or relieve your pain in case you’ve suffered back pain, this article is going to dive deeper into this topic and offer you a collection of best pillows for back pain that can help with back pain issues. We have just written article about best pillow side sleeper, you can learn more about them. The purpose of using pillow is to provide cushion under our head when we are lying. It will elevate our head a bit to let us comfy during the night. More importantly, the pillow will help us align our spine in a neutral position from the head to the lower back. That being said, the choosing of wrong support from our pillow can lead to body aches and pains due to muscle strain. Consequentially, you will experience restless and interrupted sleep. Usually, people who have suffered from chronic back pain, or just recovered from back surgery feel hard to find the comfortable position during sleep. They need to be reclined a bit as the way to stay comfy and fully relaxed. The wedge pillows that which comes as a triangle shaped pillows are specially designed for that purpose. 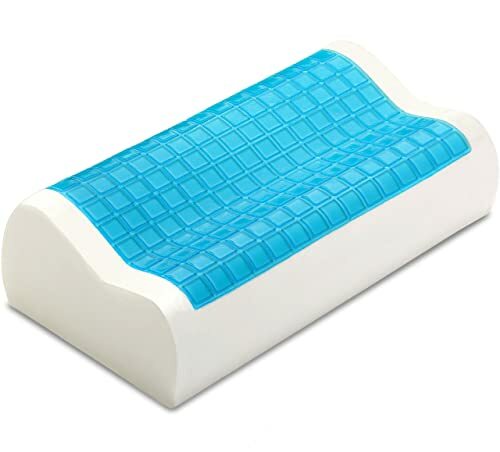 Due to the unique designs, they can create a reclined position in bed, and help naturally elevate the painful body parts. Consequentially, your body will be fully relaxed and pain-free. People with back pain are usually advised to keep the body in straight natural alignment while sitting. However, the regular chairs or car seats aren’t designed to provide support at lumbar and lower back areas. As a result, the prolonged sitting will aggravate the pain in their back. When using a lumbar support pillow, it will fill the gap between the lower spine and the chair to maintain the natural inward curve in the lower back. So, back pain sufferers can feel supportive, pain-relieved and comfortable. It is called knee pillow because the pillow is designed to rest your knee in the way to find comfortable way to sleep and reduce the pain in back. Usually, knee pillows come as cylindrical shape, half-moon shape, hourglass shape or triangle shape. Back sleepers with back pain often place it under the knees to help lower the force on the lower back for supporting the torso, while side sleepers with back pain will feel more comfortable, and relaxed when placing it between their knees. This type of pillow is designed to support the whole body, especially at specific areas such as head, neck, knees and arms. 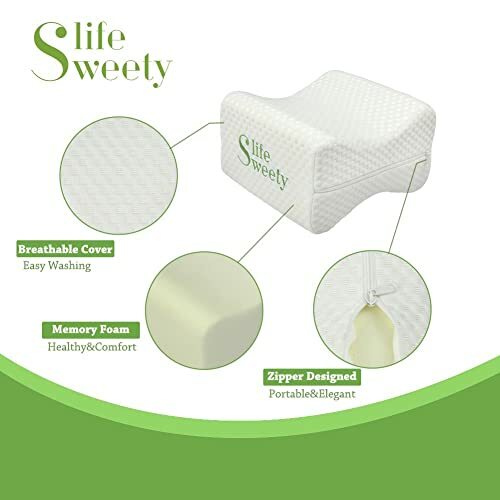 In addition, these pillows are most used by pregnant women in the way to lessen the pain in their back or avoid the potential risks for experiencing back pain during pregnancy. That’s why the pillows are also called the pregnancy pillows. 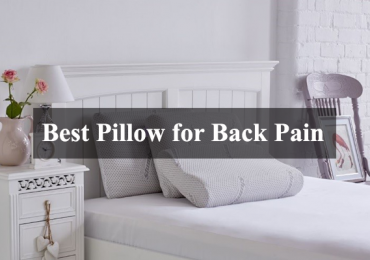 Because we have a numerous options when it comes to shopping best pillows for back pain, it is better to narrow down the long list and focus on the best of the best pillows. That being said, the following list is hand-picked, which is the most sought in the market. In addition, they truly provide the good support and comfort, which is based on the certain sleeping positions. Along with that, each pillow also comes with short description that might tell you know how to use it, for whom it is recommended, what it will provide in terms of firmness, thickness and heat retention and even its cons. All important details are revealed, which just tries to emphasize how they are indeed hand-picked. Hopefully, you can find your right pillow from this list. Snuggle-Pedic pillow is filled with a proprietary mix of our verfy special hypo-allergenic and extremely low V.O.C. laboratory tested foam. Hence, it can perform better than others shredded memory foam pillows in the market. Especially, it can be contoured to your head, making the sleeper’s head feel more hug, and supportive. Additionally, The foams come as very small pieces, making the pillow soft and fluffy, while still light in weight and more resilient. More importantly, it is easy to balance firmness and springiness. Plus, it won’t go flat in short time. Along with that, the filling can help the pillow fairly breathable. When it combines with the Ultra-Luxurious Kool-Flow Micro-Vented Viscose of Bamboo Cover, it provides very cool feeling for sleepers through the night. Spring pillows seem to be not as popularly used as other types, but the great thing is it can make a huge difference for your back pain. With the design of this spring bed pillow, it is very well-made. Functionally speaking, the pillow still provides the super soft yet comfy feel. Especially, unlike memory foam pillows, the pillow doesn’t squish like a stuffed pillow. In addition, though the pillow is fluffy but firm at the same time. This makes your head not sunk far down into the pillow but feel supportive. As better support, this pillow is good to use for back pain, side and back sleepers. For concern of sounds that a spring pillow generally make. The answer is it makes no sound. However, sadly, the pillow cannot be laundered. Hence, a waterproof mite cover or any additional cover is encouraged to use. This pillow is designed with ergonomic shape that has two raised edges coming in varying heights, one edge is lower, and the other is higher. This unique design makes it easy to provide options for people of different sizes and sleeping styles. The pillow can fill the gap between the head and shoulders for side sleepers, while it still cradle the neck of back sleepers. Along with that, the pillow provides the firm feel. When it combines with the contoured shape, it helps relieve the pressure on your neck and shoulders. Apart from this, the good firmness allows the pillow not flatten in short time. In addition, the top layer that has blue tone is designed to be breathable. Hence, sleepers can feel cooling through the night. Lastly, the 5-year warranty comes as a nice deal when purchasing this Sleep Innovation pillow. 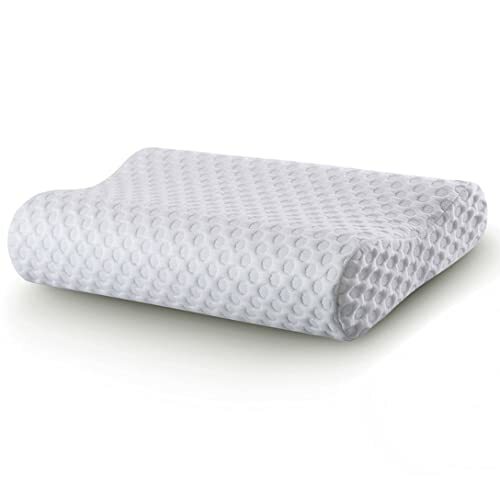 This pillow is filled with 100% high density memory foam, providing good cushion and consistent feel. Especially, it is uniquely designed ergonomic shape, allowing you to maintain the proper alignment of head, neck, spine and legs. For side sleepers, this pillow can be placed between legs, the contoured shape will make your legs full rested, comfy and feel strain-free. If you feel pain in your back or knees, placing the pillow between your knees, thighs, or legs also help in the way to get your good night’s sleep. It will relax your body, and relieve the pain. Perhaps, many sleepers still concern about warm feeling when using a memory foam pillow, but this pillow is highly breathable. And, the fabric cover is also a breathable material. Hence, it doesn’t absorb and retain heat as you might think. This pillow is designed with a unique shape that looks like a half-moon. It helps relives your pain in back and knees by placing it between your legs or knees every night. The memory foam used for filling will provide a great cushion when it is not too stiff or soft. It isn’t also too thick to cause any discomfort, just enough to keep your knee higher your hip, and let your whole body full relaxed. In addition, it is also hypoallergenic, making it more ideal to use. And, the cover is constructed from a blend of 60% Brushed Microfiber, 40% Rayon Derived from Bamboo. This blend makes the fabric soft to touch and breathable to stay cool through the night. 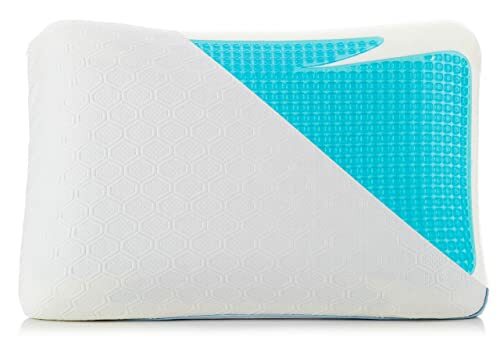 The pillow comes in not too thick or too soft design with foam fill, making it super comfortable to place between legs, thighs, knees or under head. In terms of firmness, the pillow has medium firm feel, making it fit the needs of the majority of sleepers. Along with that, the foam fill helps it easy to contour your head, and provide a comfy cushion. Plus, it doesn’t come in heavy weight to cause any discomfort or disturbances during sleeping. in addition, the memory foam is infused with cooling gel. This helps reduce the heat retention of memory foam. Apart from this, the fabric used for the cover is soft and breathable. This adds an extra cooling feel to the pillow. Especially, it looks very beautifully aesthetic. Nursal pillow is designed with unique shape, which has two raised edges, and subtly looks crescent shape. 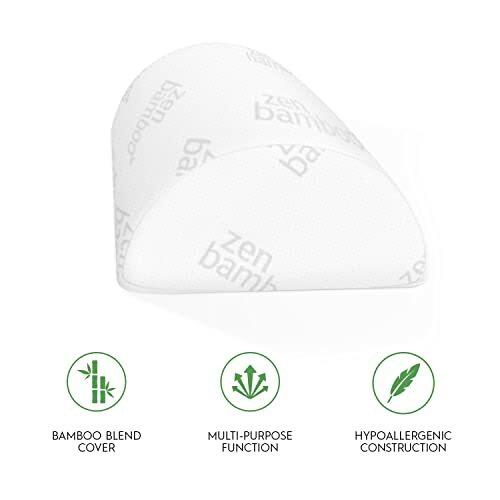 This unique shape makes it helpful in providing the comfort and support for your head. Especially, people with neck pain can have the pain relief from this pillow. In addition, the fill is made of visco-elastic memory foam that has high density. This makes it good at providing bounce and elasticity, which provides more comfort while sleeping. Apart from this, it allows itself to last years with you as well. 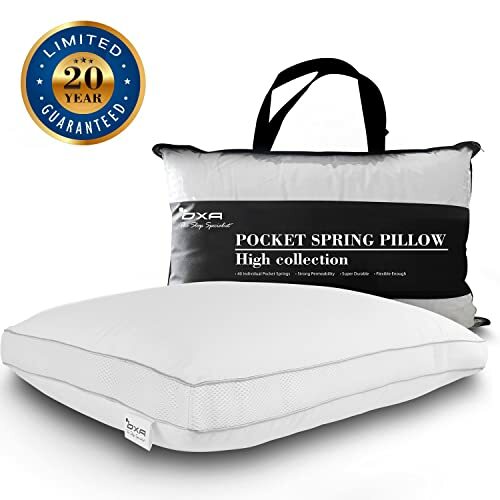 Along with that it has the perfect height to put between your legs, or knees as the way to get the comfortable way to good night’s sleep and reduce your back pain at the same time. When you place it under your head, its support can help improve the good posture and maintain the proper spine alignment. Nakital is a best-selling pillow. The filling is made of memory foam that provides medium to firm feels. Along with that, the design comes as two different heights of edges. One edge is 7 cm is height, and the other is 10 cm in height. Due to these, it can fit the needs of the majority of sleepers. In addition, the contour can be very helpful in providing support to your neck and head. It will fill the space between head and the shoulders. 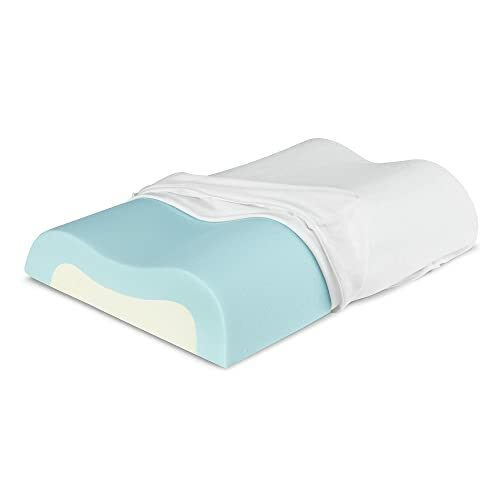 To feel comfortable when you are sleeping on your side or finding the back pain relief, this pillow can be used to put between your legs or knee. It will keep your knee higher enough than your hip. This position will help you a lot to reduce the pain in back. Lastly, the foam is ventilated, allowing more air to flow through the pillow. Hence, cooling feel can come with Nakital pillow. This is another memory foam pillow that would be worth your consideration. It also has two different thicknesses of ends. This design is aimed to provide the exact support for sleepers with different sleeping positions. The memory foam fill makes it soft to be a great cushion, yet still on top the pillow. Along with that, it will cradle your neck if you are sleeping on your back. For back pain sleepers, it works well in relieving the pain. 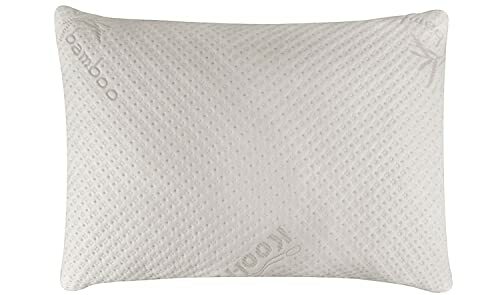 However, in comparison with others pillows that has the same design, the lower end of this pillow seems to be not enough high to support the neck. Does this pillow cause warm feeling during the night? The answer is no. It can disperse the heat away from your head and neck. Hence, you can stay comfortable all night long. 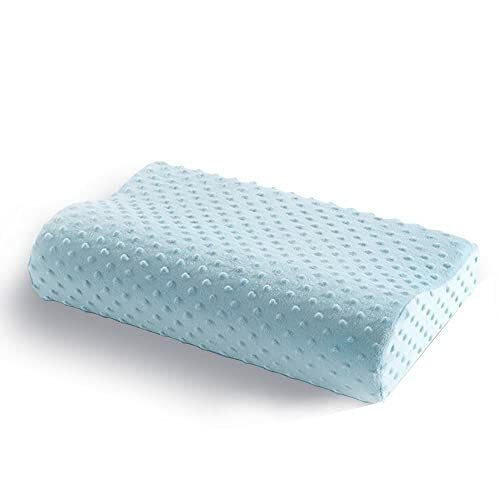 This PharMeDoc pillow is designed with orthopedic curve to better support your head, neck. Along with that, the memory foam used to make the fill is a good type, which can provide maximum comfort and good firmness. The two edges come with two different heights, one is 4 inches and the other is 5 inches. This means the pillow isn’t too high or too short, allowing sleepers have enough height to be comfy and prevent neck pain. But, bear in mind, the thicker end may not a bit high to cause strain to neck for back sleepers. In addition, it helps maintain a good posture. Hence, you will stay away back pain, caused by wrong sleeping posture. Lastly, both the fill and the cover are made of hypoallergenic materials, making PharMeDoc more suitable for sensitive skins. Back pain is just a common problem that every one of us can experience at least once in our lifetime. Oftentimes, back pain may go away on its own. However, in many cases, they go back at any time. Elo Pillow said, it is better to have preventive measures before we have the chances to suffer from it. Because our way of sleeping can relate to the back pain’s causes, when it comes to choosing mattress and bed accessories like pillows, this issue is worth considering as well. That mean let the best pillows for back pain improve our quality sleep every night and keep the back pain away from us.